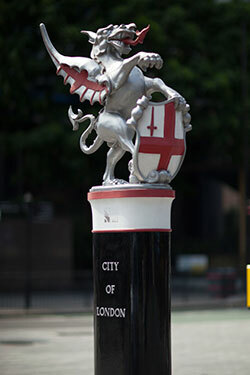 Civil Engineering students went on a Treasure Hunt around the City of London at the start of their degree. Amy tells us what she enjoyed about the day and how City University London is helping her to get closer to her career goals. When hunting around for the right degree in London I was attracted to the combined Civil Engineering with Architecture degree that City University London offered. The chance to study the technical aspects with the added design modules was just what I wanted. When visiting the campus on an Offer Holder Day I knew it was the place for me. City cares about their students, it is evident in the investments being made to create great study spaces. The lecturers and other staff are always available to help and there are constant opportunities for students to give feedback and help improve all aspects of university life. The introductory weeks of first year passed in a bit of a blur but the Treasure Hunt organised by the school really sticks out in my mind. Although we were told that it was compulsory (compulsory fun? Yeah I know… or so I thought) it actually turned out to be really good. As engineers we naturally want to problem solve and the chance to run around the City of London learning some facts about the iconic buildings, such as how many bolts are used to hold a certain part of the millennium bridge in place and sketching building sites for Crossrail in Farringdon, all whilst earning points was great fun! The other good thing about it was the opportunity to meet other people on the course, with it being only a few weeks in we hadn’t really had a chance to work with each other so it got us working as teams from early on, which is an essential professional skill. This is a common theme in most things you do at City. The university is focused on making sure that you are industry ready. All of our lectures, labs and tutorials are based around what we would be doing on a day to day basis as working engineers. Not only that but there is also a really good careers service which has helped with my CV as well as having regular lectures at the beginning of second year about how to find a placement. I have also been lucky enough to be selected to be part of the Professional Mentoring Scheme in which the university matches you with a professional in the industry you want to go into. The coordinators were really good, they asked a lot of questions to make sure they teamed you up with someone who would be a good match for you. My mentor is an architect and we have so far met a couple of times since the programme started in December. It has been really interesting talking to someone who works in the industry and gaining a real idea of what skills will be essential if I want to work in building design in the future. The scheme runs for 6 months but if you find the right mentor, it could lead to bigger things especially for someone like me with no family or close friends in the industry, it has been invaluable to learn about it. On my course there are a variety of modules and once a week, as architecture students, we spend 3 hours being creative and learning about architectural design. Which is such a refreshing break from technical modules, although it is still a challenge as you have to think in such a different way. I am hoping that these modules will give me the opportunity to bridge the gap with engineering and architecture in my future career. At City you are not just a number, they genuinely want you to succeed not just with your degree but with your future career. All in all I have loved my time at City so far and I am excited to see what the next few years bring!